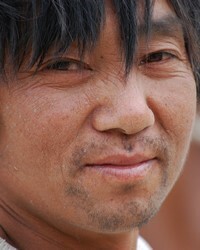 A small but totally unreached people-they must hear, there must be disciples made. The area inhabited by the Shixing has a long and rich history. Their villages are “guarded by watchtowers erected by powerful Naxi kings several hundred years ago.” The Naxi’s interest in the region may have been due to the abundance of gold once found in the Shou Chu River. There has never been a known believer or Christian fellowship among the Shixing people. The Shixing have no background in monotheism – there is much to correct in their worldview. Han Chinese believers may be able to carry the message of salvation to their Shixing neighbors. Pray for the believers that will one day emerge among the Shixing, that pastors and teachers are even now being prepared for them. ← Christian Lawyers in prison-Li Heping and Jiang Tianyong. Pray for Jiang.